In July 1997 the region of Moray in Scotland was devastated by floods. Hundreds of people were evacuated, homes and business premises ruined, the rail line from Aberdeen to Inverness was closed and the A96 was flooded. The damage kick started a long term programme to protect the area far into the future. Projects have been undertaken in Elgin, Rothes, Forres and Llanbryde and the job is a pioneering example of how working with the community and using intelligent investment can create a sustainable legacy for generations to come. The programme has involved designs to make room for the river, including demolition and rebuilding of bridges to open up water courses, construction of a dam for a flood water storage scheme and relocation of businesses and homes to create blue/green flood plain all with the co-operation of local people. 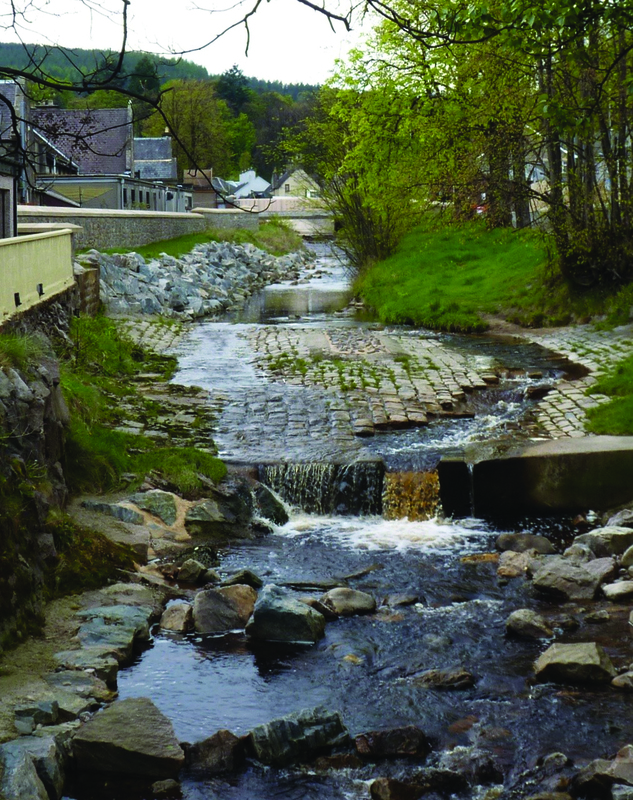 Royal HaskoningDHV has been working with client The Moray Council to establish the solutions to future flood risk along with principal contractor Morrison Construction and cost consultant EC Harris. The consultant’s business unit director for rivers, deltas and coasts is Steven Trewhella. As business case manager for the Moray Flood Alleviation Scheme he has been involved with the project throughout its life span. What has he learned throughout that time to share with other flood alleviation infrastructure schemes? The single biggest revelation to me has been the importance of client continuity and leadership. The council took the decision to invest in a major capital programme over a 15 year time frame and stuck with it. Dave Gowans and Peter Haslam from Moray Council have been with the project from the start and have helped it through various legal and political changes. Following on from number one is the value of community engagement. There are 90,000 people in Moray and 10,000 directly affected by flooding which means the other 80,000 are contributing to the cost of the scheme and should be involved in determining the solution. Everyone needs to be engaged with the benefits the alleviation schemes bring. And by involving local influencers you can do things that would not have been achievable without them. For instance in Rothes we wanted to knock down two properties to widen the flood channel. It would have been hard for me to bang on the doors of people’s homes and say they had to move to benefit the wider community. But the local councillor could, and did. We removed the properties and built for the residents two new ones in the town and they love them. On another occasion we were struggling to find flood storage land – we had really exhausted all the possibilities – but because the local community had bought into the works, a farmer came forward and said he was retiring and we could have his land for the scheme. It has been used in anger four times since. Being part of a big Anglo-Dutch group I have learned from my colleagues in the Netherlands that there is a lot more we can do in the UK in terms of spatial planning for flood alleviation, visualising the possibilities of connecting town and river with green/blue space to add to the urban environment in a good way. The UK should promote its flooding expertise far more widely than it does. There is £40bn to £60bn to be spent on resilient infrastructure in the years ahead around the world and rather than cutting back on skills, government should be supporting us to sell UK expertise internationally, as the Netherlands does. There is an excellent link between good health and safety practice and finding solutions to tricky construction problems. 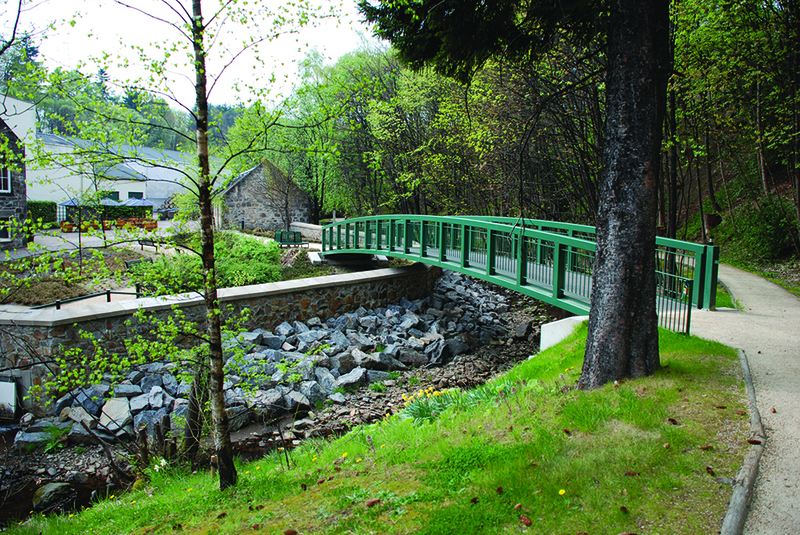 Replacing the main road bridge in Rothes was an almost insurmountable issue – the site was so constrained by buildings and traffic. But we hired an old quarry and set out the town round the bridge in cones to help our plant drivers understand the difficulties. They kept asking if we could move one cone and we said ‘no, that’s the police station’. It helped us optimise the design and we realigned the bridge slightly to make the works possible. The motto for the team was ‘learn from the past, design for the future’. The whole area was awash in 1829 and then 1997 was just as bad but exacerbated by all the development over the previous 160 years. Our designs had to be able to stand up to another big event assuming further development. But we wanted the flood defence to be integrated into the community – solutions shouldn’t just be functional, they should be desirable and an asset for the future. Sustrans is funding a new cycle route along our flood defences for instance. A little bit of lighting in Elgin as part of that scheme sets off the cathedral and creates a stronger sense of place. Engineers are not always very good at this, but we need to have a voice if we want the public to be confident in our solutions. We can’t shine in silence. If we want private investors to be confident about investing in public projects we have to be big enough to stand up and say what we think. I can see BIM is going to have a major impact going forward. One of the things about working on a project over 15 years with hundreds of different people is you realise the importance of establishing a single source of truth. We may not have a BIM legacy but we do have design solutions that will proved 80% of what anyone would ever want to do. Managing risk doesn’t mean avoiding risk. 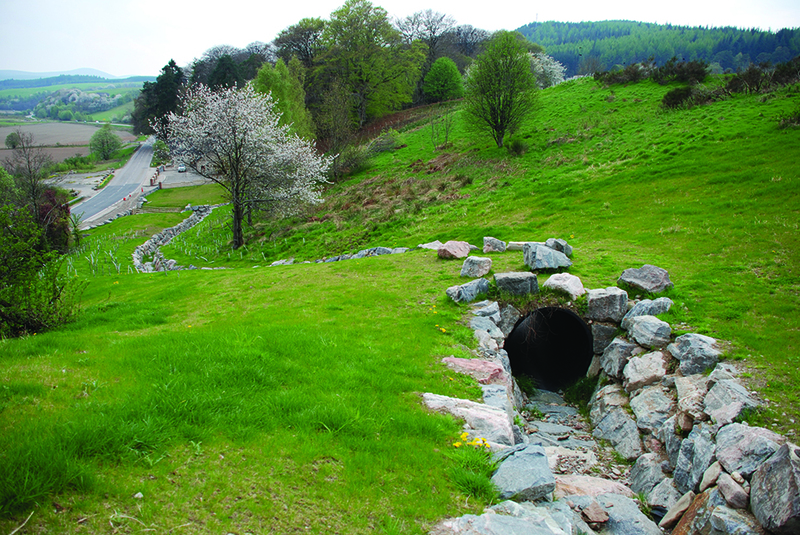 At Elgin we had a massive issue with 300,000m3 of contaminated land on route of a diversion of the Tyock Burn and we worked with the contractor to establish an earthworks strategy that avoided taking it to landfill through treating it on site and reusing it. We saved £5M that way. Flood risk management is a judgment based industry; it only works because of the knowledge, judgment and passion of the people involved. We have to defend those skills for the country’s future protection. The largest of the Moray schemes is an £86M project to alleviate flooding in Elgin. Works are being carried out along 9km of the River Lossie, creating a conveyance corridor through the town and opening up the existing flood plain downstream. Works have involved replacing three bridges to open up the water course along with diverting the Tyock Burn. The scheme is due to complete in spring 2015. 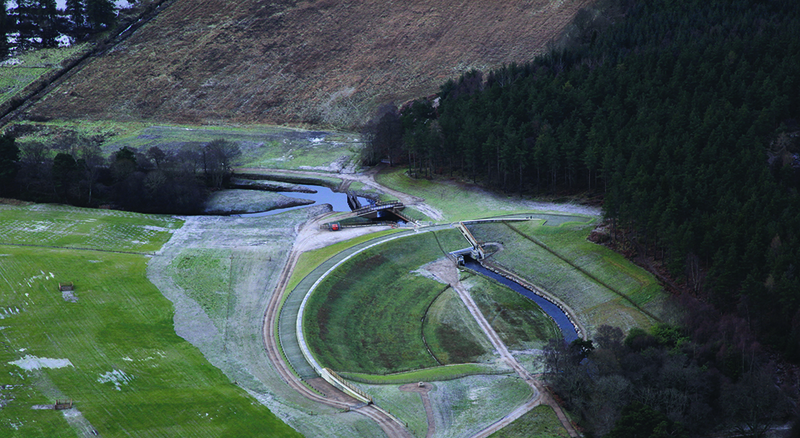 At Forres, in a £45M project, a 5km long embankment up to 3m high has been set back from the river, together with extensive works close to the river channel to create space for higher flows. Two roads are being raised to pass over the embankment and a 66 year old footbridge extended by 90m to travel over the lowered river bend. This job will finish at the end of this year.